As Keralites gear up to celebrate Onam and Eid in a few days, the film industry is all set to join in the celebrations. There have been no major releases for some time now as theatres in the Malabar area wore a deserted look during Ramzan. Here is a look at forthcoming films that will hit theatres next week. There are more films to follow but their release will depend on how these movies fare at the box office. Blessy's film is about a love triangle involving a woman and two men. 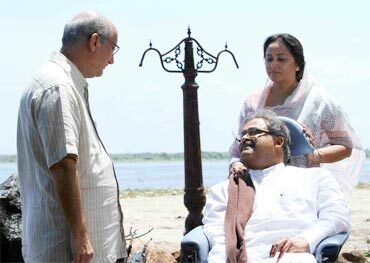 And when the woman in question happens to be the beautiful Jaya Prada, well, the movie should be worth all the hype. Anupam Kher is playing Achutha Menon, and the actor has stated that Pranayam is among the best seven films that he has done in his career. Now, when one of the finest actors in the country, who has done more than 400 films, says so, the film should be special. Blessy and Mohanlal teamed up earlier to make spectacular films like Thanmathra and Bhramaram. Let's hope Pranayam follows suit. Prithviraj, who was mainly seen in action roles during recent times, is all set to make you laugh with his new release, Tejabhai & Family. Written and directed by Dipu Karunakaran, the film has been shot in Thiruvananthapuram and Malaysia. Prithviraj plays a don named Tejabhai who virtually rules Malaysia. But he has to hide his real identity and is forced to appear in a different avatar, after he is completely besotted by a beautiful girl named Vedika. The fun, the twists and turns and all the spice starts now. After the multi starrer Christian Brothers, director Joshiy is ready with Sevenes (yes, that's how it's spelt, may be for numerological reasons), which has football as the backdrop. Nadia Moidu, who made a rather forgettable comeback in Malayalam with Doubles recently, plays a cop. A group of young stars including Kunchacko Boban, Asif Ali, Nivin Pauly, Rajith Menon, Kuttu, Vijeesh, Amir, Bhama and Rima Kallingal play important roles. The scenarist is Dr Iqbal Kuttippuram and the cinematographer is Ajayan Vincent. 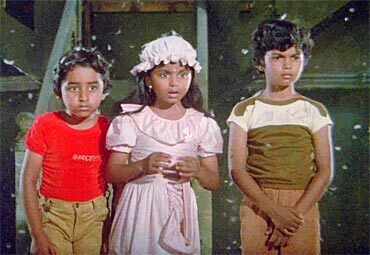 My Dear Kuttichathan, which came out in 1984, was the first 3D film in Indian film history. It was a great success and the film came out as Chotta Chethan in Hindi and as Chutti Chathan in Tamil with some changes. Now the film is all set to hit cinemas in a new avatar. The best thing about the film is its freshness, which remains intact even so many years after it was first released.